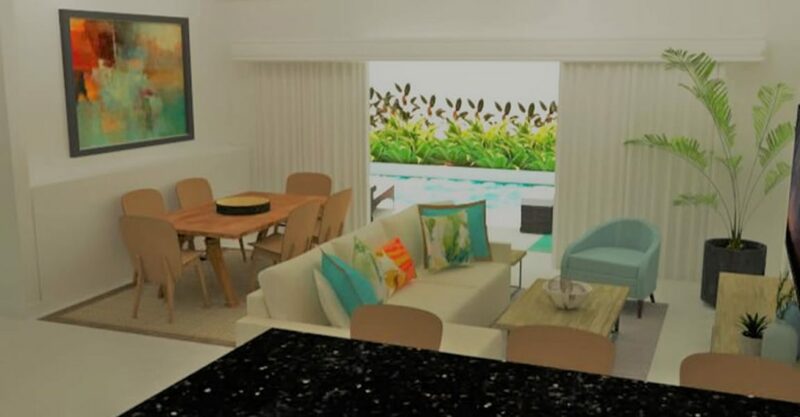 3 bedroom townhouses for sale in Barbados within an exciting new development on St Lawrence Main Road in the heart of the South Coast. 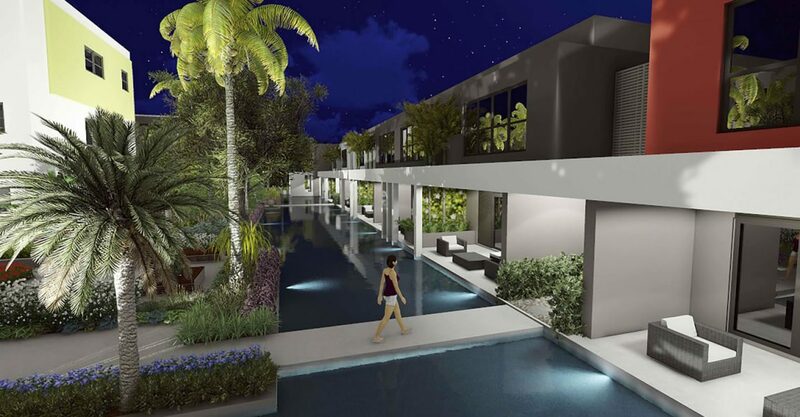 These new construction townhouses are located within an exciting new gated condominium development on St Lawrence Main Road, Christ Church in a quiet spot in the the heart of the entertainment district of the South Coast of Barbados. The units feature a contemporary open plan layout with stylish design. 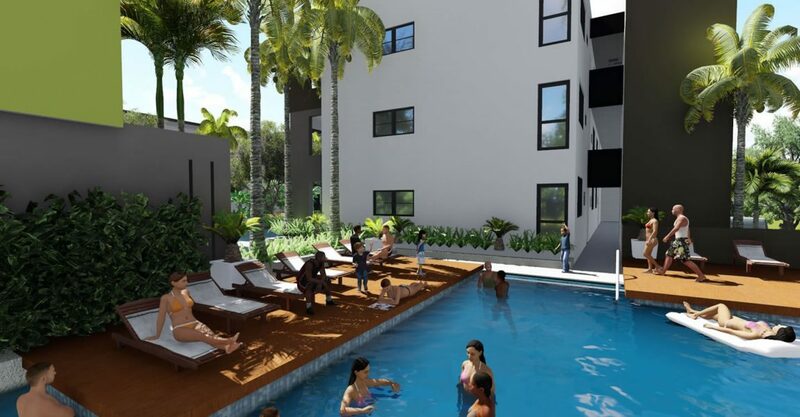 Buyers can choose from a selection of 1 bedroom apartments, 2 bedroom apartments and 3 bedroom townhouses. 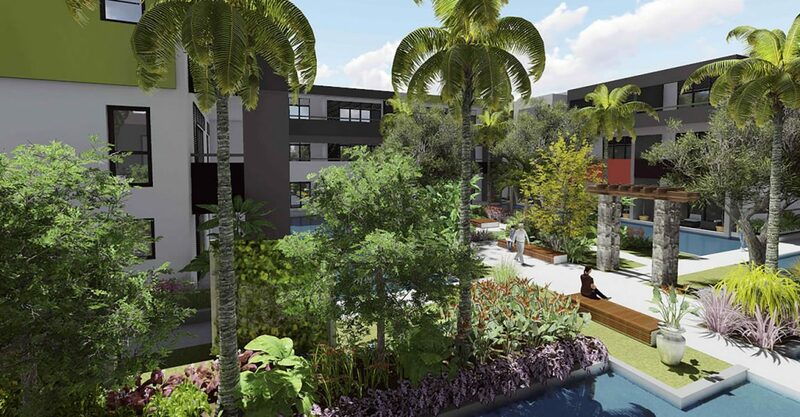 Set in landscaped gardens with many large mature mahogany and casuarina trees, the townhouses and apartments face on to a water garden with serene central reflecting pool filled with harvested rain water. Residents enjoy use of amenities including a communal swimming pool with sundeck, gym area overlooking the water garden. The development also benefits from night time security, onsite management and reserved parking for residents, plus guest parking. 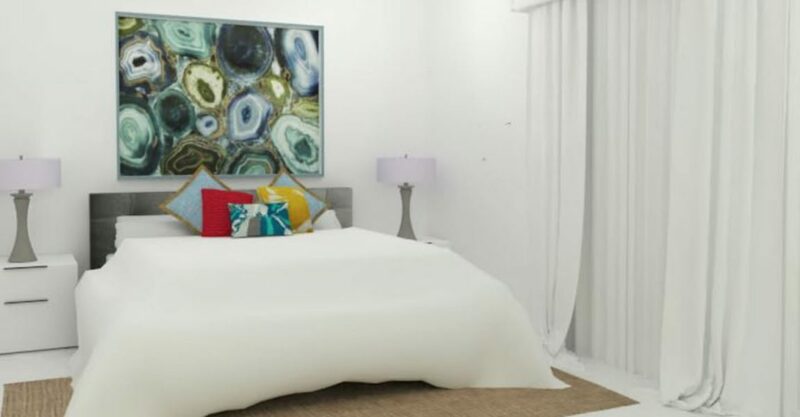 Situated in the heart of the South Coast entertainment district, this condo development is close to shopping, restaurant, services, transportation and nightlife. It is just a 3 minute walk to Dover Beach. These townhouses and apartments for sale in Barbados would be ideal as a modern affordable home in a desirable location for residents of Barbados or vacation homes for overseas visitors. The units would be ideal as short-term or long-term investment properties for the rental market which could generate extra income. 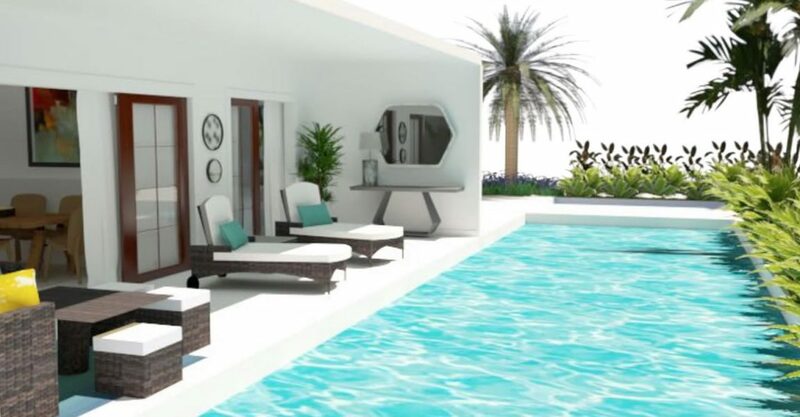 The developer has estimated the Return on Investment as ranging from approximately 6% to 9.5% p.a. for owners utilizing their units as short-term vacation rental apartments. 10% upon legal transfer of title. Non-residents: Up to 65% financing available (subject to circumstances).